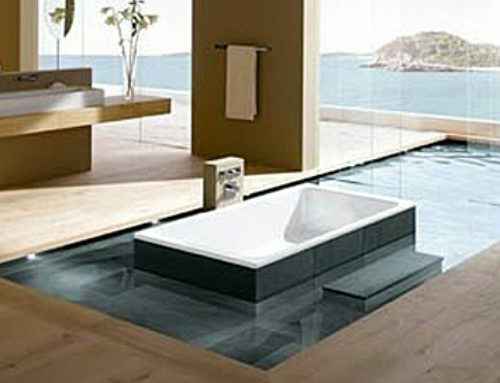 One of my favorite things is seeing incredible dream bathrooms – especially with wonderful and inspired BATHTUBS! 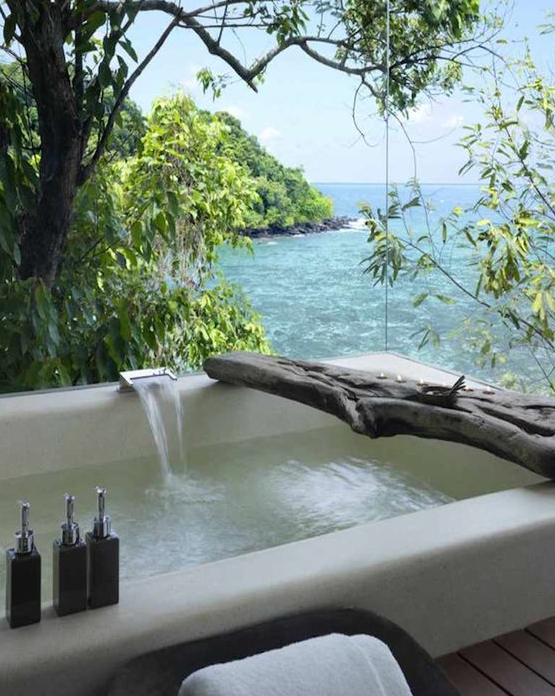 OK, so you’re on your incredible private island and you wonder….what would make this even MORE amazing? And then you have this brilliant thought. Yep. 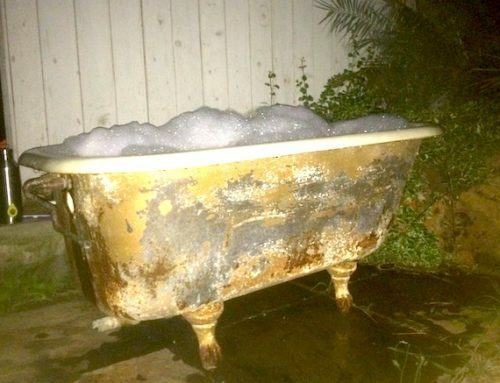 A BATHTUB. Another outdoor stunner. 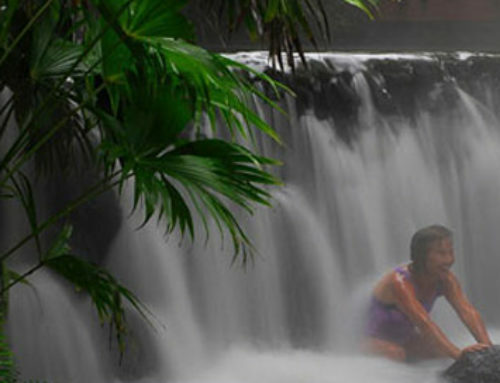 And it’s even more cool because you are under a roof to stay out of the rain, BUT, you can still make it rain. You are the Master Of The Tub-O-Universe! 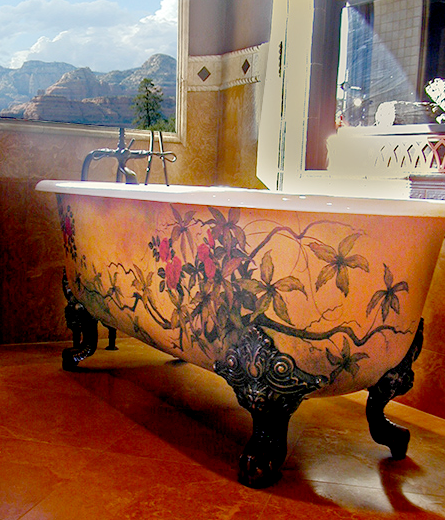 Here’s a gorgeous hand-painted tub! 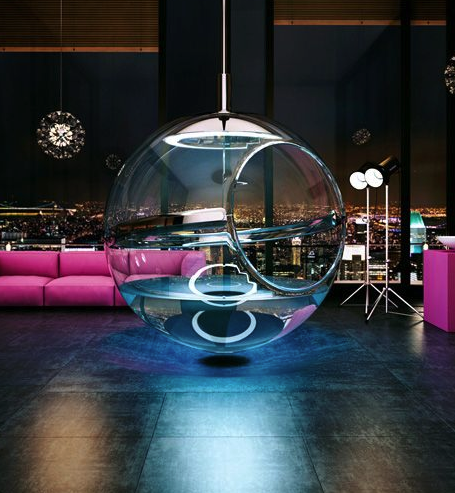 Pretty sure the Jetson’s have one of these – but maybe not in the living room! 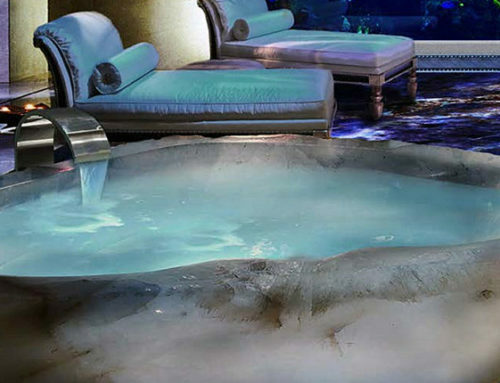 Hope you enjoyed our romp thru Bathtub Fantasy Land! We’ll do it again soon. The pictures say it all! Thanks for getting my morning off to a soothing start. 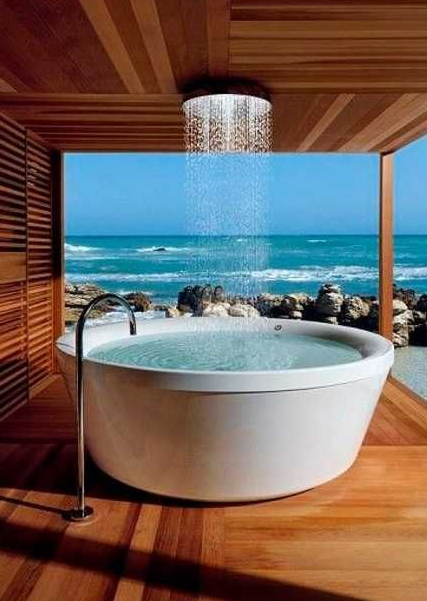 Yes, nothing like imaging yourself in a beautiful bathtub, just thinking about it calms one down. 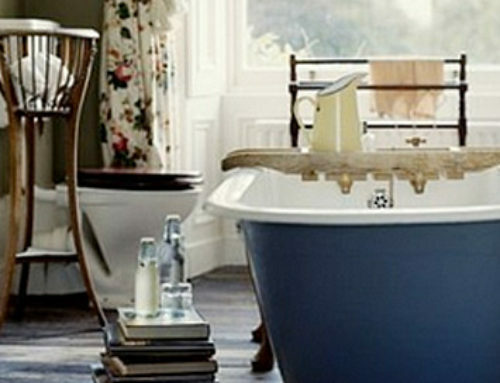 Even better – taking a bath in the morning in a beautiful tub!